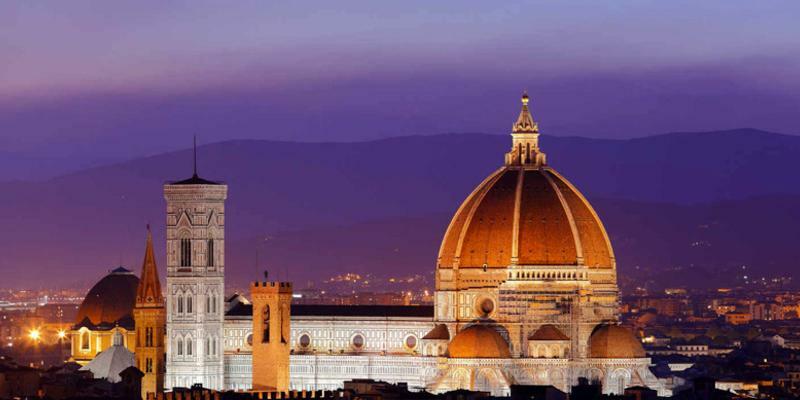 Florence remains one of Italy’s most popular cities. With its centuries-old art and grand palazzi, there is no better place to venture into the Renaissance. The Tuscan capital is home to the renowned talents of Michelangelo, Donatello, and Boticelli, among many others, complementing the city’s history with artistic value and authentic Italian culture. Despite its long-lasting relationship with the revered renaissance period, Florence has been able to comfortably evolve with the times. An indication of a more youthful and energized city floats through its streets, with none of its authentic culture and ancient beauty sacrificed. There is much to do and see here, but many have said that even if you return time and time again, you still won’t see it all. Whether it’s art and history, food and wine, ambience and culture, there are avenues for all within this stunning setting. 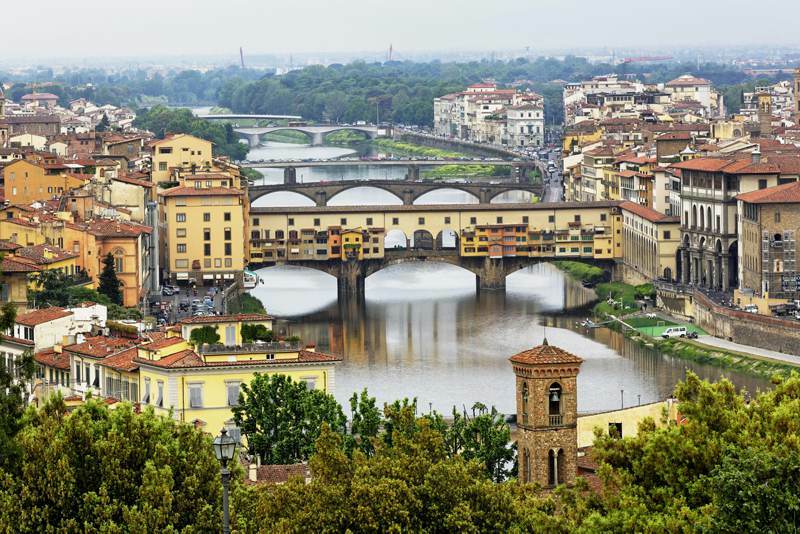 Here is our guide to a weekend in Florence. 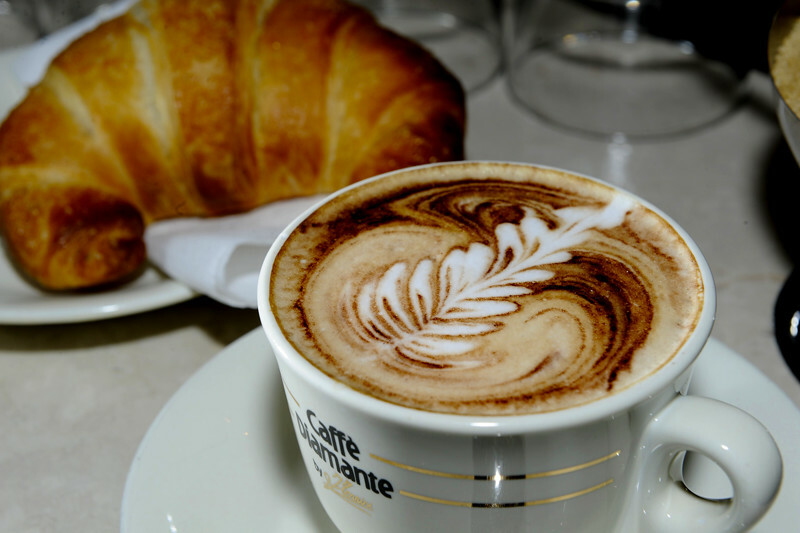 9:00am - Start your day with one of the things that Italy is most famous for, a delicious cappuccino from a local coffee shop. We would recommend a cappuccino + croissant combination from Dolce & Dolcezze, which is famous for its wrapped chocolates and berry tarts. Keep in mind that after 10am, cappuccino is entirely forbidden under the unwritten Italian food rules, as it is strictly a ‘breakfast coffee’. Order post-10 at your own risk! www.allianz-studentlife.com - Coffe and croissants in Florence. 10:00am – Begin your experience with a trip to Il Duomo di Firenze, the magnificent domed cathedral that is Florence’s emblematic heart. The famous church has been around since the 1400s, and is now a world heritage site. Once exploring the cathedrals interior, dare to venture upwards to experience a combination of fantastic sightseeing and sweltering exercise, with two fantastic platforms for breath-taking views of the city, just a mere 877 steps to the top! 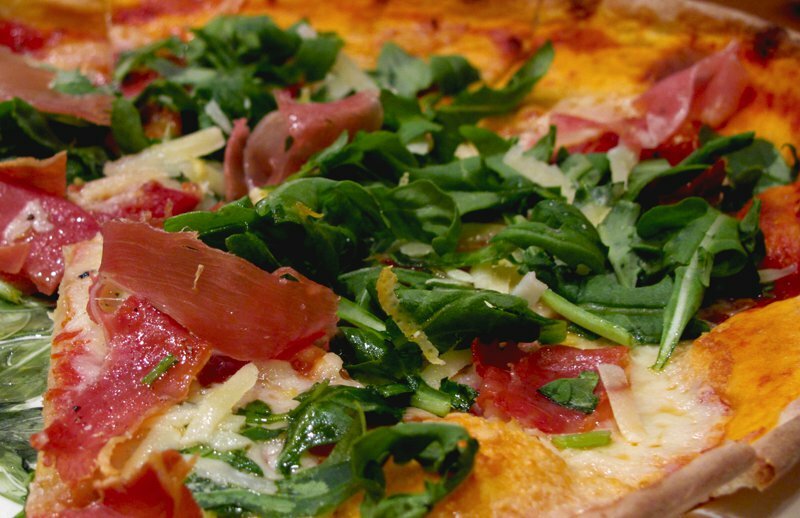 1:00pm – Italian cuisine is appreciated worldwide, so it is only right that you experience it in its birthplace. After your heroic climb to the top of the Duomo, head to Il Pizzaiuolo for one of the best classic Neapolitan pizza’s in town. If you’re feeling a wider menu, to Mercato Centrale, for anything from pasta, to piella, to burger. 4:00pm – It’s time to escape the busy city streets and retreat to some refreshing natural beauty, found in Giardino Bardini. After a short climb, expect one of the best views over the city, with spectacular opportunities to capture the Duomo, Santa Croce, and Fiesole. If you’re lucky enough to visit in spring, you can appreciate the gardens at their best. 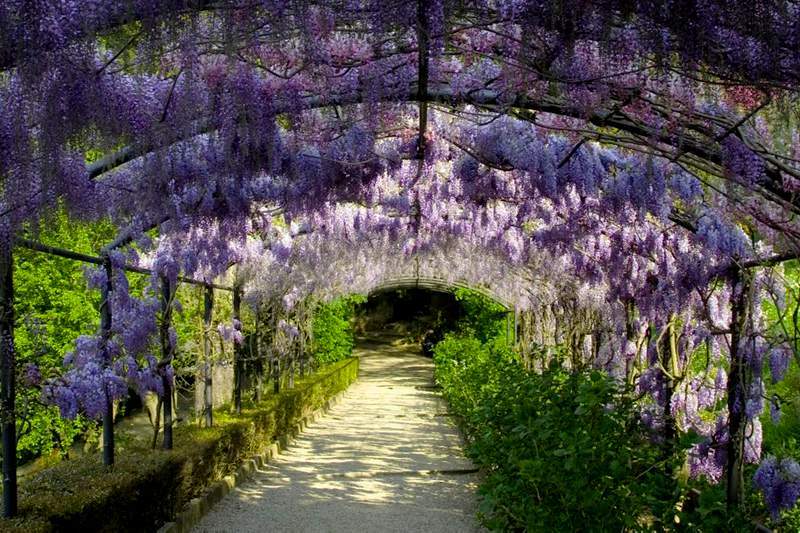 www.panoramio.com - The stunning gardens of Bardini in the springtime. 8:00pm – After a long day experiencing Florence’s offerings you may want to spend take some time to unwind, but keep in mind that dinner generally starts at 8pm. For appreciators of great food, welcome to gastronomic heaven; family run trattorias, lively food markets and modern restaurants to dine in. The food scene is popular in Florence, so either book ahead or arrive early for a good table. We would recommend visiting Il Santo Bevitore, considered one of the best dining experiences in Florence. 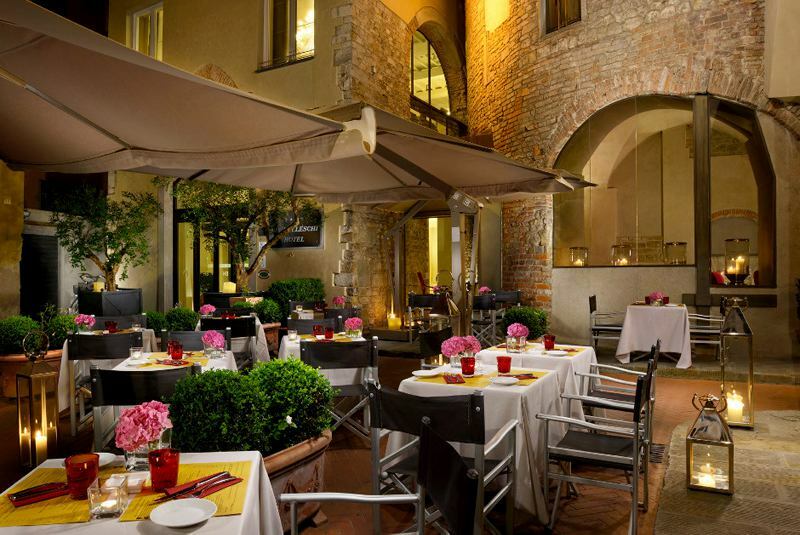 www.hotelbrunelleschi.com - A romantic set up for an evening in Florence. 10:00pm – After dinner, expect the city’s aperitivo bars to come alive, offering fine Italian wine and drinks, as well as cheese and meat plates. We would recommend Volume or Pitti Gola E Cantina, to experience good vibes and even better wine to set you into your night. 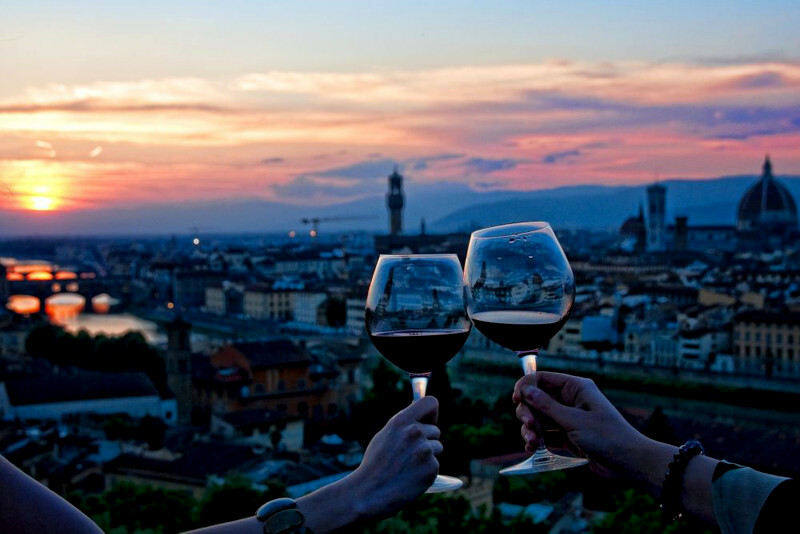 www.theflorentine.com - Drinks with a beautiful view over the city. 10:00am - Rise and shine! Masses of tourists flock to this city for its magnificent historical art - world celebrated pieces, from Michelangelo’s David to Botticelli’s Primavera. Expect to find crowds venturing from Galleria Dell’Academia to Piazza Della Signoria and the Uffizi and so on. These galleries and museums are a must see, but we highly recommend paying the extra euros for booking tickets in advance, as you’re able to simply collect your tickets and stroll past the long queues. 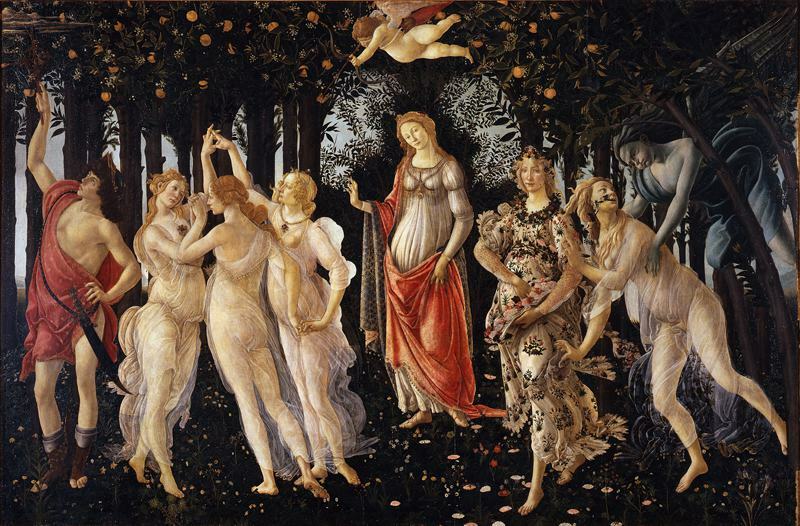 en.wikipedia.org - The incredible Primavera by Sandro Botticelli. 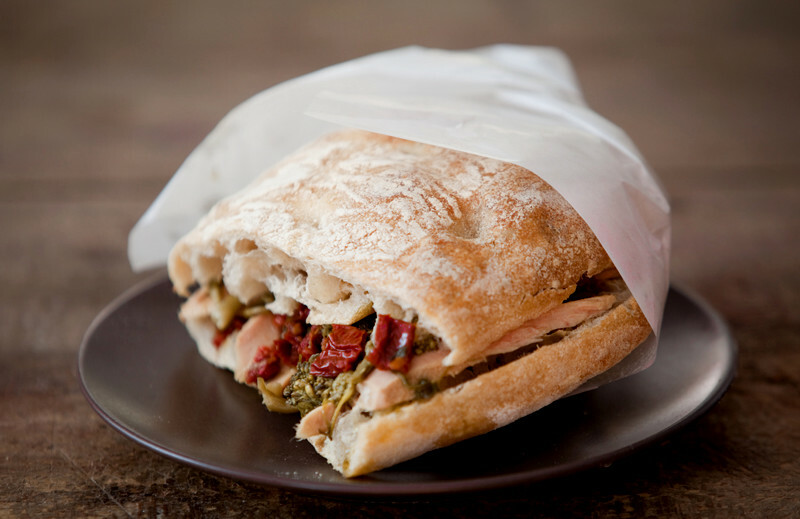 2:00pm – For lunch head over to ‘Ino, a deli and wine bar near the Ponte Vecchio. Here you can experience fresh focaccia and paninis, choosing from 20-plus cheeses including pecorino and Gorgonzola, and add some mortadella and salami. Perfect! 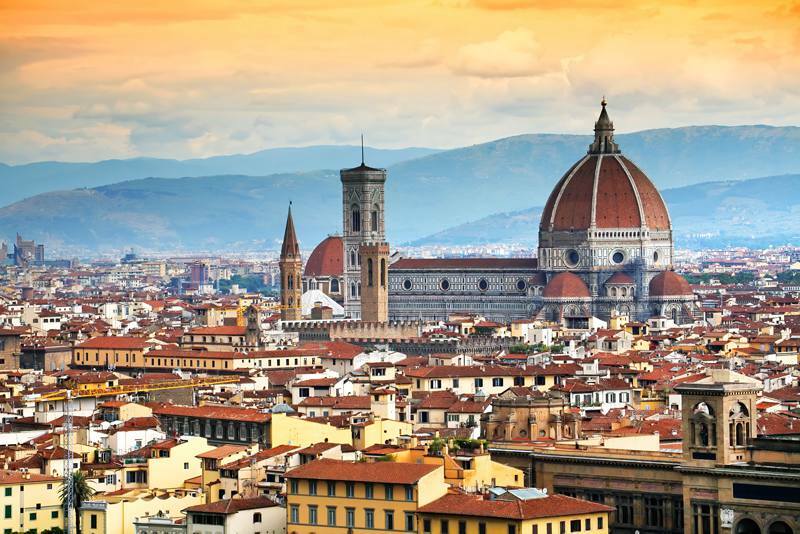 4:00pm – Now that you have experienced all of the illustrious museums and cathedrals of Florence, you can unwind and simply appreciate the culture and atmosphere that runs through the city. Stroll through gardens such as Giardino di Boboli, home to The Fountain of Neptune, or stroll across the Arno River. Head to the less-travelled left bank to shop for authentic Florentine treasures, like embroidered linens from Busatti, or Florentine perfumes and candles from Lorenzo Villoresi. Afterwards, treat yourself to a glass of wine and enjoy the change of pace as the sun falls over this fantastic Italian city. www.gentsidevoyage.com - A stunning view of the Arno River in Florence. Stay in one of our apartments in Florence. Where would you spend your ultimate weekend away?